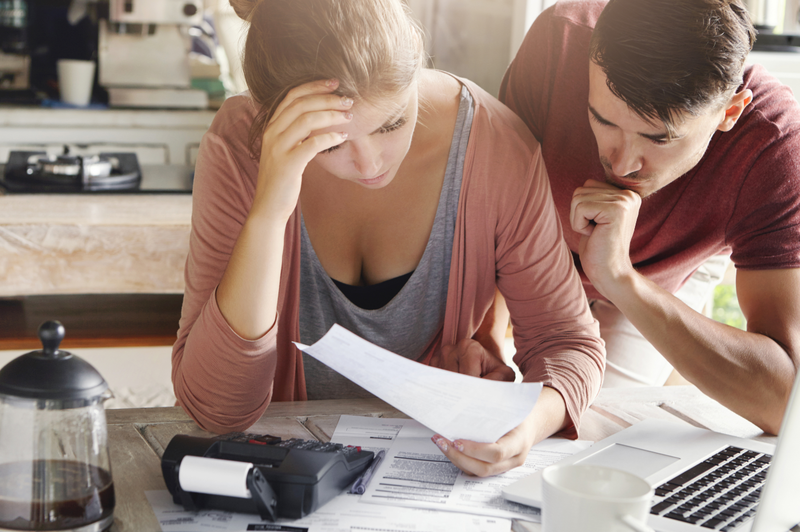 What do I do if My Energy Supplier Goes Bust? What does ‘going bust’ mean? Am I going to lose power? What will happen to my tariff? If you were an Iresa or GB customer back in 2016, you might have experienced what happens when energy suppliers go bust. But for everyone else, the idea that your energy company could suddenly go out of business is a worrying thought. It often puts people off committing to smaller suppliers for this very reason. However, many policies are put into place for if this happens that protect you as the customer, which means that while your supply will switch to another, it won’t disrupt your use. This guide will tell you everything you need to know about what happens when your supplier goes bust, including what it means and any FAQs. If your energy supplier ‘goes bust’, it means that they are going to stop supplying your energy as there will no longer be a company. For instance, when GB Energy went bust, it meant that Co-operative Energy took over their customers, and so they didn’t have their power supply disrupted. GB Energy is unique in the sense that although GB Energy’s customers have their supply from the Co-operative, they decided to keep the brand of the former energy company. Presumably, because before they went bust, they had an excellent reputation. With other energy suppliers such as Iresa, Octopus Energy took over when they went bust, and instead of keeping the brand alive, customers just became Octopus Energy customers. No, when your energy supplier goes bust, there are policies and regulations in place to ensure that your power will never be cut off because your energy company goes out of business. Ofgem will continue supplying your energy until you move to a new supplier, sort of like a ‘safety net’. Your new supplier, which Ofgem will choose for you, is known as a ‘supplier of last resort’ or ‘SoLR’ for short which you might hear if this happens to you. This ensures that you don’t need to worry about switching supplier or having a constant flow of energy as Ofgem will take care of this for you. It doesn’t mean that you can’t switch energy companies, however, but Ofgem does suggest that you sit tight and wait to switch to your new supplier automatically. Unfortunately, when your energy supplier goes out of business, you will be placed on what’s known as a ‘deemed contract’. This isn’t an ideal tariff to be on as your energy prices will be much, much higher than usual. Plus, this contract can last as long as you don’t change it so you should switch tariffs or energy suppliers as soon as possible. For more information on switching, take a look at this article. Of course, going with a smaller energy supplier does run a more significant risk of the company going bust than with any of the big six, as they are usually owned by multinational companies which hold many different assets. However, according to reports, many customers feel that smaller energy suppliers give better customer support and value for money. In the Which? Survey 2018, none of the big six energy companies reached the top 10 energy companies in the UK. On the other hand, smaller energy suppliers dominated the top positions, with the winner being Utility Warehouse. Utility Warehouse is a medium-sized energy company, which doesn’t exactly make it one of the tiny energy suppliers which typically have less than 200,000 suppliers. But it isn’t one of the big six who dominates around 91% of the market, that has some of the worst ratings. Octopus Energy has the third place in the Which? Survey, and it’s the only energy company in 2018 to have the label of being a Which? Recommended Provider. Will I have to find a new supplier? No, Ofgem will take care of everything regarding your new supplier. Typically, what happens is that Ofgem will take over your supply of energy as a safety net. Energy companies then bid for the business by offering the best deal. Ofgem then picks the best value supplier for you, taking as much detail as possible into consideration. A few days later this new supplier will contact you. Though Ofgem will try and negotiate the best deal for you and other customers, it’s true that your energy prices might increase. This can sometimes be because your energy supplier needs to increase their prices to make up for the costs of taking on new customers, or it could just be more expensive than your last tariff for whatever reason. You are entitled to switch suppliers to one that Ofgem hasn’t chosen for you, so you may want to check out the comparison tool at the top of the page to see how much you could be saving. Should I cancel my direct debit? If you are in credit, which means your energy supplier owes you money, they won’t take any money out of your account. In the scenario that you’re in debt, so you owe money to your supplier, they will continue taking your direct debit payments as usual. All you have to do is wait until your new energy supplier contacts you; they will help you set up a new account and explain what will happen to your credit balance. If I have credit, will it move with me? Your new supplier will pay you any outstanding credit they owe you. Once Ofgem has appointed your new energy supplier, they will likely contact you and pay your credit straight into your account. You should take a meter reading and a note of your balance as soon as you find out your energy supplier is going out of business. Will I still have debt? If your new supplier has agreed to take you on as a customer and your debt, you’ll have to repay it to them like you would have done with your old energy company. In the case that this isn’t the case, you won’t have to pay your debt to your new supplier. However, you will have to pay your debt back to either your last supplier or the administrator. Do you want to switch energy suppliers? Did you know that you could be saving £500 annually on your energy bills every year? What is The Tariff Comparison Rate?